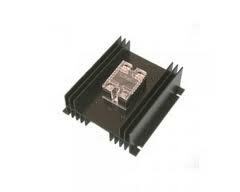 The Current Booster Module (CBM) is an optically isolated high current MOSFET switch. The CBM can be used to greatly increase the load switching capability of Solar Boost charge controllers with load control outputs. The charge controller load control output serves as the input control signal to the CBM and the CBM provides all high current switching for the load. The CBM output turns on when a 3 — 32VDC signal is present on it's input terminals. Input to output optical isolation allows the output to serve as either a low side switch or high side switch. The CBM can also serve as a PWM power driver for the Solar Boost 3024 DUO-Option wind/hydroelectric diversion charge control system. Up to 70 amps can be switched in a DC on/o application or up to 40 amps in a 3024 DUO-Option PWM diversion application. What Is The IPN™ Network? The Integrated Power Net™, or IPN network is a simple yet robust digital network which allows Blue Sky Energy’s IPN compatible products to communicate with each other and work together. It is based on the RS-485 communication standard which is commonly used in harsh industrial environments. Without the IPN network multiple charge controllers charging a common battery would operate as separate machines, each with their own charge parameters, display, temperature sensor and so on. While IPN compatible charge controllers work quite well alone, when multiple IPN controllers are combined they no longer behave as separate machines. They work together and operate as a single machine. Up to 8 IPN compatible controllers can reside on a single network. No special communication hardware is required. There is simply a twisted pair cable daisy chained controller-to-controller. One controller is considered to be the master and the others are slaves. Charge parameters are set only in the master, and the slaves automatically take on these settings and work with the master to behave as a single machine. They can also share a common battery temperature sensor and display, either the IPN-Pro Remote or the very low cost IPN-Remote. Lower installed cost, simplified setup and coordinated charge control are obvious advantages of the IPN network. Another key advantage is the ability to grow a system as needs change. A small system may start with a Solar Boost 3024i, an IPN-ProRemote and a battery temperature sensor. Later when more power is required another Solar Boost 3024i (or other IPN compatible charge controller) can be added. To the installer there is no need to consider the new controller’s charge parameters, or add additional displays or temperature sensors. If settings need to be changed they still reside in one place as before. To the user the system operates the same, displays through the existing IPN-ProRemote, only now the system delivers twice the power.